Welcome to Wolfe’s Kitchen and Deli, formally known as Wolfe’s Market, located in the city of Claremont. We are a family owned and operated specialty deli, gourmet kitchen, bakery and catering business. We are passionate about exclusively using the finest quality and freshest ingredients available to produce wholesome meals fortified with vital nutrients necessary to fuel your energy to conquer the day’s work. Wolfe’s Kitchen and Deli serves the finest, most mouthwatering Boars Head deli meats and cheeses. We only serve our customers high quality deli meats and cheeses from Boar’s Head, a successful family business since 1905. With Boar’s Head, they use only the finest ingredients to create pure beef, pork, poultry and real spices. Their meats and cheeses contain no fillers, by-products, artificial colors or flavors, trans fat or gluten. Due to Boar’s Head’s commitment to high quality products and healthy food, we only use Boar’s Head’s meats and cheeses to create our delicious and gourmet sandwiches. From baked ham, hard salami, roast beef, pastrami, corned beef, oven gold turkey, peppermill turkey, honey maple turkey, buffalo chicken breast, etc., we carry a wide variety of first-class quality meats from Boar’s Head. If you’re craving deli meats and delicious sandwiches, made with only the finest quality ingredients, stop by Wolfe’s Kitchen and Deli for lunch! We have sandwiches created and catered to the foodies, big eaters, simple eaters, animal lovers, meat lovers and health nut. Pick up a yummy side salad— potato, cold slaw, rotelle pasta, fruit salad, pea salad— to accompany your meal. Visit our store, we look forward to serving you the best sandwiches in town! Cheeses: Swiss, Cheddar, American, Provolone, Jarlsberg, Jack, Hot Pepper Jack, Muenster, Havarti, and Mozzarella. Condiments: Mayo, Mustard, Spicy Mustard, Tomato, Lettuce, Onions, Bell Peppers, Cucumbers, Sprouts, Spinach, Pickles and Pepperoncinis. Deli Meats: Baked Ham, Low Sodium Ham, Honey Maple Ham, Dry Salami, Hard Salami, Roast Beef, Beef Bologna, Pastrami, Corned Beef, Ovengold Turkey, Salsalito Turkey, Peppermill Turkey, Honey Maple Turkey, Mesquite Turkey, Buffalo Chicken Breast, Chicken Breast, and Capocollo. Breads: Wheat, Rye, Sourdough, Squaw and French Roll, (Croissant +$1.00). All Sandwiches have ¼ lb of meat! And include one side! 3 varieties -- Roast Beef, Cold Pastrami, Corned Beef. Peppermill Turkey, Havarti Cheese, Avocado, Tomato, Fresh Sprouts, Mayo on Toasted Schiacciata Bread. Capocollo, Salami, Mortadella, Provolone, Lettuce, Tomatoes, Mayo, Mustard & Italian Dressing on French Roll. Liverwurst, Red Onion and Mayo on Rye or Sourdough Bread. Salami, Capocollo, Bologna, BLT, Mortadella, Egg Salad or Chicken Salad. Turkey, Bacon, Avocado, Green Leaf, Tomato and Mayo on toasted Sourdough Bread. Ham sliced thin on a Croissant with Swiss Cheese, Mayo, Mustard, Lettuce and Tomato. With Avocado & Sprouts on Squaw Bread. Double Buffalo Chicken, Pepperoni, Pepper Jack Cheese, Green Leaf, Cucumber, Bell Peppers, Pepperoncini, Mayo & Mustard on Wheat Bread. Turkey, Green Leaf, Avocado, Cucumber, Bell Peppers, Spinach, Sprouts, Red Onions, Mustard & Mayo on Wheat Bread. Salsalito Turkey, Bacon, Lettuce, Tomato, Fresh Guacamole on Schiacciata Bread. Chicken Fajita Panini with Chicken Breast, Bell Peppers, Jack Cheese and Mayo on Sourdough Bread or Ham and Bacon Panini with Ham, Bacon, Swiss Cheese, Basil Pesto on Sourdough Bread. Albacore Tuna with Relish and Celery or Albacore Tuna with Green Apple and Red Onion. Grilled Chicken Breast served with Grilled Onions, Grilled Fresh Pineapple, Spicy BBQ Sauce and Lettuce. Served on a Hamburger Bun. Cranberry Walnut Chicken Salad on a flaky Croissant with Lettuce and Tomato. Grilled thinly sliced Roast Beef on Sourdough with Melted Cheddar Cheese, Grilled Tomatoes and Grilled Ortega Chiles. Lightly grilled thin slices of Corned Beef, Sauerkraut and Swiss Cheese served on Grilled Rye Bread. Lightly grilled Roast Beef, Grilled Onions, Green Leaf Lettuce and Chipotle Cheese served on Schiacciata Bread. Lightly grilled thin slices of Pastrami, Swiss Cheese served on Grilled Rye Bread, and served with Au Jus Sauce on the side for dipping. Beef or Chicken in warm Flour Tortillas with Cheddar and Jack Cheese, Lettuce, Fresh Salsa and Guacamole. Your Choice of Grilled Chicken Breast (9.95) or Steak (10.95) served on a French Bread Roll with sautéed Onions and Bell Peppers. Topped with Melted Jack Cheese and Avocado. Smoked Turkey Breast, grilled Tomatoes, Lettuce, Mayonnaise and Melted Cheese on Sourdough Bread. Smoked Turkey sandwich with Lettuce, Tomato, Pickles, Mayonnaise and Cranberry Chutney. Served on Sourdough Bread. Grilled Sourdough, Sundried Tomatoes, Jack Cheese, Cheddar Cheese, Bean Sprouts and Sliced Avocado. Salmon Patty served on a Sesame Seed Bun with Lettuce and Tomato. Pulled Pork marinated with Spicy BBQ Sauce and Grilled Onions. Served with Grilled Pineapple on a French Roll. Your choice of Chicken (9.95) or Steak (10.95) Flour Tortilla with Cheddar and Spicy Jack Cheese. Grilled Chicken Breast, Romaine Lettuce, Chopped Tomatoes, Parmesan Cheese, Croutons and Caesar Dressing. Grilled Tuna Salad Sandwich with Cheddar Cheese on Sourdough Bread. Cheddar and Jack Cheese Grilled on Sourdough Bread. Boars Head All Beef Hot Dog served on a Toasted Bun. *Grill Menu items include your choice of Rotelle Pasta, Fresh Fruit, French Fries or Sweet Potato Fries. 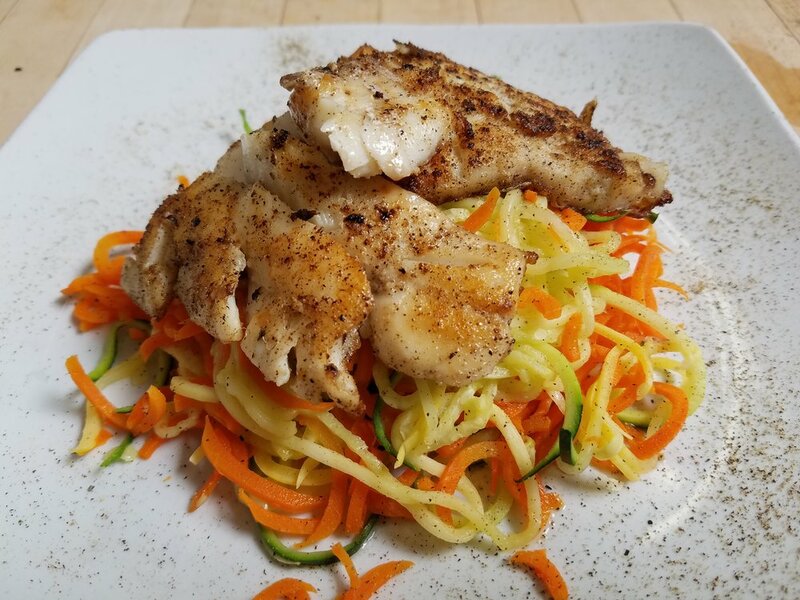 Wolfe’s Kitchen and Deli, located in Claremont, strives to provide delicious and nutritious healthy meals with our Ultimate Nutrition Meal plan. Whether your goal is to lose weight, lower cholesterol, or to choose healthier food options, Tom Wolfe, the owner of Wolfe’s Kitchen and Deli created the Ultimate Nutrition. This is a health-driven vehicle that helps others achieve their own health success through our carefully designed meal plans and menus. After Tom Wolfe was able to improve his own health through fitness and nutrition, he was inspired to help others by creating Ultimate Nutrition, which produces meals each day that are filled with wholesome goodness and fortified nutrition necessary to be an exceptional athlete. These meals are made with the best quality and freshest ingredients available and are prepared by our incredible chefs on the daily. Ultimate nutrition is the ideal replacement for fast food lunches or frozen diet dinners. 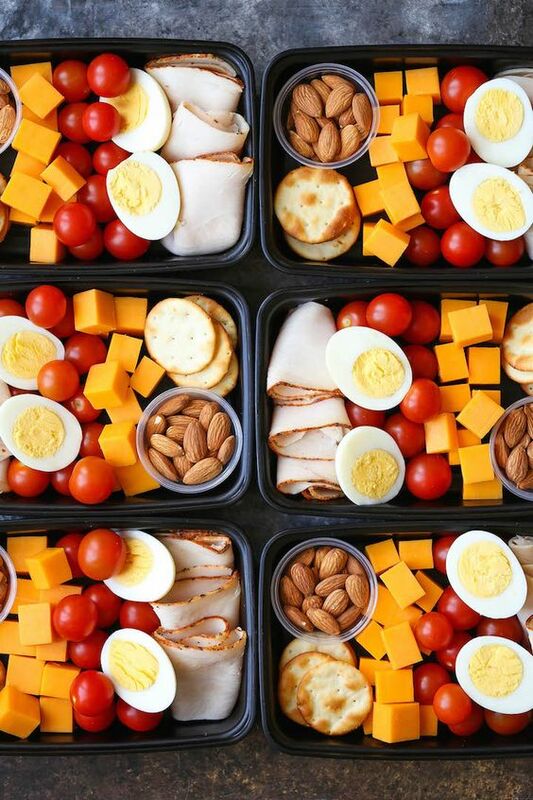 We are passionate about helping you meet your dietary necessities and desires by creating healthy meals that are easily accessible for your breakfast, lunch, dinner and snack times! Our chefs prepare and portion your food in a timely fashion. With Wolfe’s Kitchen and Deli’s Ultimate Nutrition Meal Plan and Shakeology Bar, we provide you a plethora of healthy nutritious options that will help you reach your health and fitness goals. We can customize your meal plan for your dietary necessities and everyday lifestyle. Our Ultimate Nutrition Plan is continuously growing for the better. Want to try it out? New customers receive a free two meal trial. Call us today and we’ll recommend a complimentary health plan just for you! Here at Wolfe’s Kitchen and Deli, we use our own meal plans and are living proof that they immensely improve our health for the better. Spring Mix Lettuce, Fresh Red Raspberries, Crumbled Feta Cheese, Tomatoes & Roasted Pinenuts. Served with Raspberry Vinaigrette. Chicken Breast, Romaine Lettuce, Broccoli Florets, Celery, Carrots, Crispy Wontons & Black Sesame Seeds. Served with Sesame Dressing. Garden Greens, Shredded Carrots, Tomatoes, Garlic Croutons & Black Olives. Served with your choice of Dressing. Chopped Iceberg Lettuce, Crumbled Bacon, Black Forest Ham, Turkey, Tomato, Bleu Cheese Crumbles, Avocado, Chopped Egg. Served with House Ranch Dressing. Baby Spinach, Radicchio, Fresh Mango, Coconut, Ricotta Cheese, Cashews, Served with Mango Vinaigrette. Baby Spinach, Radicchio, Peaches, Goat Cheese, Candied Pecans, Walnuts & Cranberries. Served with Mango Vinaigrette. Spring Mix Lettuces, Dried Cranberries, Walnuts, Bleu Cheese. Served with Raspberry Vinaigrette Dressing. Spring Mix Lettuces, Bacon Crumbles, Tomatoes, Bleu Cheese, Olives. Served with Balsamic Dressing. Mixed Greens, Roast Beef, Ham, Turkey, Asst Cheeses (Munster, Cheddar, Parmesan). Served with Ranch Dressing. Romaine Lettuce,Chicken Breasts, Bleu Cheese, Apples, Mandarin Oranges, Candied Pecans, Avocado and Dried Cranberries. Served with Wolfe’s Secret Dressing. Romaine Lettuce, Spring Mix, Pear, Strawberries, Kiwi, Cashews. Served with Strawberry Dressing. Romaine Lettuce, Cucumber, Tomato, Apples, Carrots, Pepitas. Served with Apple Dressing. Spring Mix, Baby Spinach, Kale, Broccoli Slaw, Carrots, Kidney Beans, Grape Tomatoes, Alfalfa Sprouts, Sunflower Sprouts, Mushrooms, Cucumber, Lentil Sprouts, Red Cabbage, Sunflower Seeds, Pepitas. Served with Creamy Garlic Dressing. 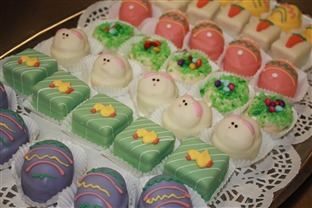 Wolfe’s Kitchen and Deli provides first-class gourmet kitchen catering. Our marketplace has been in operation since 1917, an expansion and renovation including the addition of a full-service kitchen and bakery was completed in 1991. The community response and support has established Wolfe’s as a premiere source for prepared foods for your family and friends, as well as for corporate events and special occasions. We prepare the finest quality food with an emphasis on personal service, stylized presentation, and customer satisfaction. 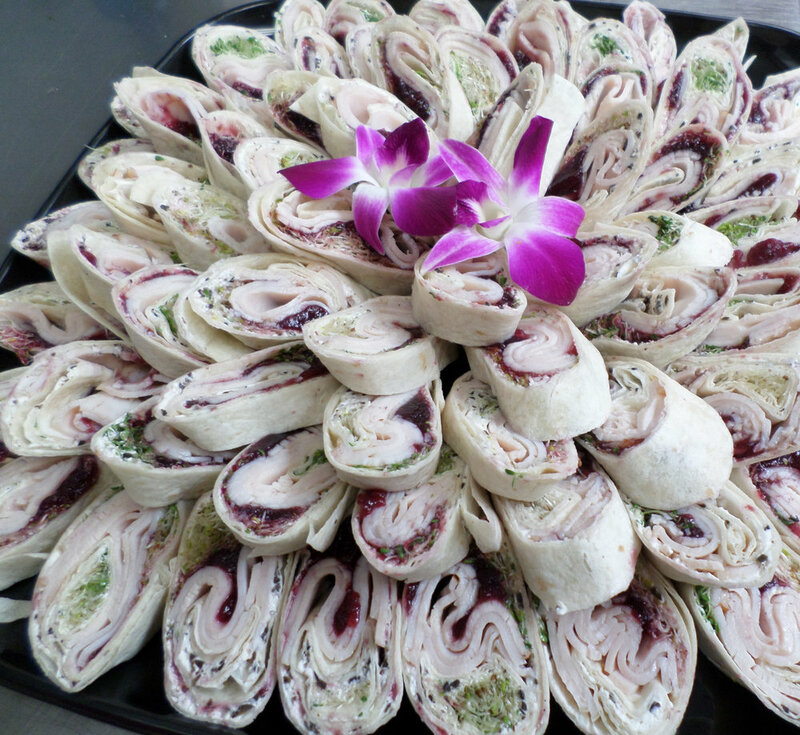 Wolfe’s Kitchen and Deli will cater our delicious gourmet sandwiches, fresh green salads, enjoyable meals, hot and cold appetizers, sweet treats and other specialty items for your special event. Our catered food will always be neatly packed in trays and containers to make entertaining others simple, easy, nutritious and delicious. Here at Wolfe’s Kitchen and Deli, we are introducing new items regularly. Stop by our kitchen and sample something new! We are a great place to pick up a mouthwatering and nutrient-packed meal for your loved ones. Save some time and money when dining with us. 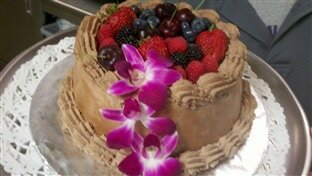 For our premium quality gourmet kitchen catering services, contact Wolfe’s Kitchen and Deli! KitKat Bars, Pecan Bar, 7 Layer Bar, Berry, Apple Tarts, Muffins and Croissants just to name a few of our favorites! Marston’s San Pasqual is the dressing that made the California Orange Salad THE most ordered salad at Marston’s Restaurant in Pasadena. The salad recipe is included on the label. Wolfe’s Kitchen is authorized to run a Shakeology Bar! We, at Wolfe’s, recommend drinking Shakeology every day! It can help you – lose weight, reduce junk food cravings, provide healthy energy, and support your digestion and regularity, AND IT TASTES GREAT! Shakeology is made with globally sourced superfood ingredients: proteins and fiber, antioxidants, vitamins, minerals, adaptogens, prebiotics and probiotics. Omari Coffee is made from Superior, Organic, Fair Trade, and Shade Grown Coffee Beans. These beans are roasted with the most precise roasting techniques and the highest quality equipment to produce a consistently rich, robust, “perfect” cup of coffee. At Wolfe’s, we grind the beans and brew our coffee fresh throughout the day. You can also purchase whole coffee beans to take home! Rustic Loaf is baked fresh in Upland and delivered twice a week to Wolfe’s Kitchen. This healthy, naturally leavened sourdough bread is made entirely by hand in the French process of triple fermentation. Wolfe’s carries Round Boules in Asiago, Jalapeno Jack, French Country, Cranberry Walnut, Kalamata Olive, Cinnamon Raisin and Multi-Grain. Scones include Apricot, Chocolate, Blueberry, Cherry Almond and Mango Coconut. Jeff’ Famous Beef Jerky is award-winning gourmet beef jerky produced by following strict quality guidelines and a commitment to a tradition of excellence. This gourmet jerky is always made using premium cuts of American beef in creative fusion marinades that are slow cooked to perfection. Following strict guidelines of quality control produces a mouth-watering, superior and bold-flavored gourmet beef Jerky that is soft and tender in every bite. You will love this great tasting, tender and full-flavored gourmet jerky. “Graber Olives: Tree-Ripened Olives Since 1894.” Graber Olives are delicious and unique! The succulent texture and nut-like appearance of the Graber Olive is difficult to describe in words alone! The cherry-red colored and tender tree-ripened Graber Olives are carefully hand picked and cured in covered vats without being oxidized, a rare delicacy has been created! This rare combination of delicious flavor and succulence keeps family and guests asking for more! “Elevate snacking enjoyment through our unwavering commitment to Simpler, Better Ingredients!” Gluten-Free, Non GMO, No MSG. These are delicious, better-for-you salty snacks that are sure to satisfy! Since 1995, Santa Barbara Pistachios has produced the highest quality all natural pistachios available. They grow, brine, and hot air dry their pistachios to retain their natural buttery flavor and nutritional value. Santa Barbara Pistachios are Kosher certified, cholesterol-free, gluten-free, vegetarian and 100% Certified Organic. Review Us - Tell us How We're Doing!